The perfect all inclusive Thailand getaway up to -70% off To take advantage of these offers, join now for free! With exotic beaches, beautiful resorts and once in a lifetime adventures, Thailand has become one of the most popular destinations for the discerning traveller. But if you're looking for something a little more sophisticated than full moon parties and backpacking with lots of gap year students, our luxury all inclusive Thailand vacations might be just what you need. Our stunning Thai getaways are only available to members, with incredible discounts and access to some of the most exclusive resorts in Thailand. Our team of travel experts, with years of experience finding the most luxurious escapes around the world, have discovered some of the most beautiful hidden gems in Thailand. Forget crowded beaches, our stunning resorts in Thailand can boast some of the most spectacular scenery in secluded locations, with private beach access and exquisite surroundings. 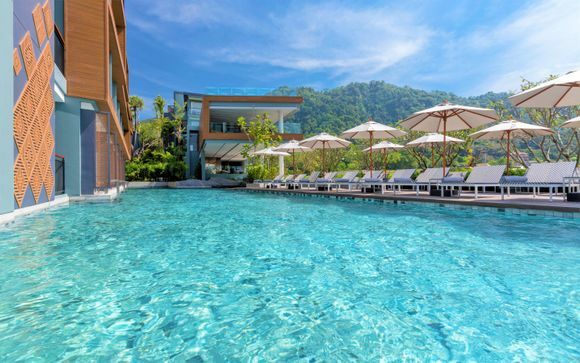 Our exclusive resorts are some of the very best Thailand has to offer, from tropical hillside resorts in the mountains to the pristine beaches of Khao Lak or 5* spa retreats in stunning Phuket. Our island getaways are heaven for nature lovers. You could visit some of the best dive spots in the world, explore the stunning national parks and witness exotic wildlife in their natural habitats. When you book one of our exclusive all inclusive Thailand holidays, you know you'll be staying in the very best resorts in Thailand. From stunning luxury chalets with breathtaking ocean views to chic modern villas in beautiful landscaped gardens, all of our handpicked hotels are 4 or 5*. With a choice of restaurants, serving the finest food from across the world, you'll enjoy every single meal when you stay all inclusive. You can even try your hand at a complimentary Thai cooking class with some of our exclusive escapes, or how about a free Thai massage or complimentary access to the spa? With beautifully styled rooms, exquisite grounds and the finest attention to detail, our Thailand hotels are the height of luxury. Each of our dream holidays to Thailand has been hand picked by our travel experts, with amazing discounts for our members. From your flights to your breakfast, our tailor made holidays are a once in a lifetime getaway. We've worked with our wonderful range of hotels to offer you the best discounts, up to 70%, which are only available for a limited period. Our members also get access to exclusive perks as part of their holiday, like spa access, cocktails, experiences and room upgrades. 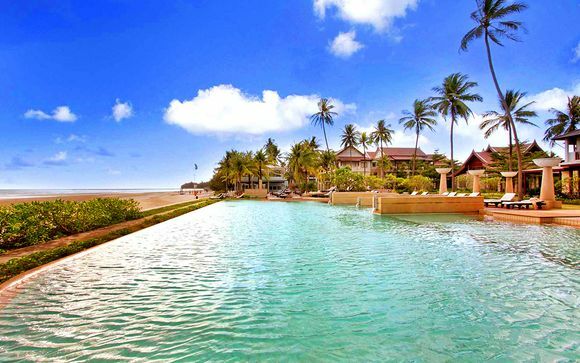 Don't miss out on the perfect all inclusive Thailand getaway and sign up now to view the very best hotels in our members only selection.